44 vowel and consonant CONDENSED charts displaying each of the 44 sound (phonemes) and related letter patterns (graphemes). Pop each page into an A4 display book for whole class reference as you cover each sound. I have reduced the printing size to fit 2 to a page and popped them into a display book for reference with my boys’ homework or when they ask how to spell a word! – We clap out the syllables – listen for the sounds within each syllable – write the grapheme for each sound using the display book as reference if needed. These are terrific for use during writing editing and for spelling/word study reference. Ideal for display and reference during writing sessions, word study, spelling, shared reading, syllable/sound mapping and general word play and literacy activities. Go on a ‘word hunt’ to find words around the room in readers, in library books, in newspapers, magazines, with certain phonic groups and sounds. Use the matching phonics words, classroom theme cards, dolch nouns, and dolch sight words to group according to the phonics blends contained in the words. Rhyming words in rhymes, poems, and songs are ideal to use with these cards. I love your 24 Consonant Sounds (Phonemes) and Related Graphemes cards. I have them all beautifully set up in my classroom to help my Year 2 students learn some tricky spelling patterns. I was wondering though, should you add some other common spelling patterns to the /h/ /x/ /y/ card such as /ks/ as in socks and /wh/ as in who? I find these are words that get used in my classroom a bit and my students cannot find the proper spelling patterns. Many teachers make up another ”extras” chart to add other sounds to as they need. I hope that makes sense Nicky – and we appreciate your input. 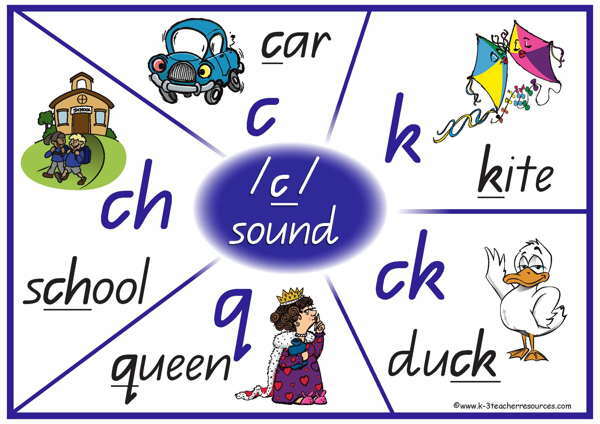 Please comment if you feel this is incorrect…..
I’ve just tried to download the vowel and consonant phonics updated posters, but when I download the consonant posters, they are actually the vowels ones. Could you please check this? Should be all good now Melissa….. I am trying to down load the final consonant blends chart and matching words but every time I click on it it just takes me to the initial consonant blends chart? Am I missing something? !